Many know of Waterloo Region as one of Canada’s most eminent tech and startup communities. 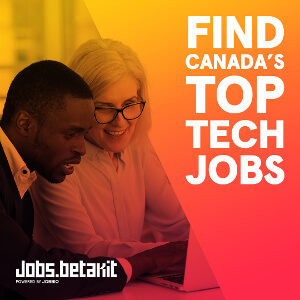 With fast-growing tech companies like Kik and Vidyard along with Canada’s largest and most widely-known enterprises like BlackBerry and OpenText, Waterloo Region has shown that it has the talent and success to rival other innovation centres across the globe. Unbeknownst to most, however, is that Waterloo Region was not always known for tech, but for another industry as well: insurance. As Hussam Ayyad, one of Communitech’s Startup Services Managers and organizers for Insurance Disrupted on February 23, stepped onto the stage and delved into the region’s history, it was clear that holding the event in the very birthplace of the Canadian life insurance industry and, now, thriving tech community was no coincidence. In today’s day and age, large, slow-moving industries (like insurance) are ripe for disruption as more people are looking for better and faster ways to do things. Communitech aims to help large companies address this by helping them think like startups through a corporate innovation strategy that provides opportunities to harness innovation potential, all while reducing the cost and risk typically associated with trying new things. On February 22, Fairfax Financial Holdings opened a new innovation lab called FairVentures at the Communitech Hub to leverage this very model. By merging the mindset of fast-moving and innovative startups with incumbents that have the industry knowledge and business acumen, this forms the very recipe for disruption. Paul Desmarais, VP at Power Corporation of Canada, and Diana Pliura, CEO of MyndTec Inc. Taken by Phil Froklage. The program for Insurance Disrupted began with a discussion between Diana Pliura, CEO of MyndTec Inc. and Paul Desmarais III, Vice President at Power Financial Corporation of Canada. With startups present to learn how to engage with insurance companies and break into the industry, along with insurance firms looking for ways to work with startups building innovative solutions in the space, the discussion offered two very different perspectives that appealed to the audience looking to disrupt the 100-year-old industry. From left: Kurtis McBride (Miovision); Davidson M. Pattiz (Zenith Insurance Company); Paul Mlodzik (The Co-operators); Karen Cutler (Manulife Financial). Taken by Phil Froklage. The keynote was followed by a panel discussion with Karen Cutler, VP & Chief Underwriter at Manulife Financial, Davidson M. Pattiz, COO & EVP at Zenith Insurance Company, and Paul Mlodzik, VP of Marketing & Communications at The Co-operators, co-moderated by Kurtis McBride, CEO at Miovision, and Mukul Ahuja, Senior Manager at Deloitte Canada. 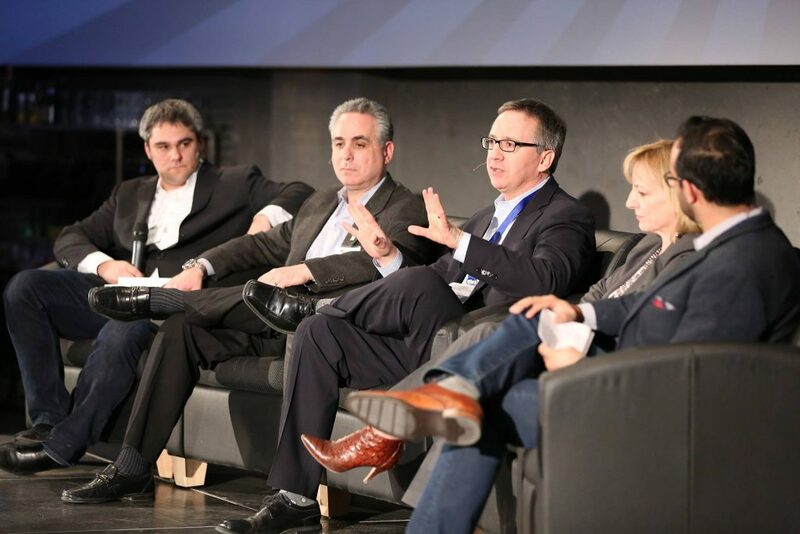 Is 2016 the year for disruption in the Canadian insurance and FinTech space? We are just seven weeks in and it is already shaping up to be a very exciting year for the industry. The very first month of 2016 saw a major deal in the Canadian market between Aviva and RBC, along with partnerships being brought to life between Wealthsimple and Borrowell. It’s been a fantastic start to the year for the Canadian insurance industry as key players move towards the same place in recognizing the need for disruption. What disruptions are coming to the industry and what opportunities are there to innovate? With insurance companies having orders of magnitude more data than they did 20 years ago, there are opportunities to use this data in a number of new and different applications. The insurance companies need to look internally to see what data exists and find ways to analyze it and use it effectively. In life insurance, clients are underwritten in just four factors. In contrast, thousands of factors are taken into account in property and casualty (PNC) insurance. Innovations in these new technologies will open up the the ability to underwrite based on massive quantities of data. The ever-declining costs of genetic testing has the potential to be very disruptive to the industry and break down the concept of pooling. Right now, if someone takes a genetic test and they find out they’re prone to cancer, they are obligated to inform the insurance agency through their duty of disclosure, resulting in an increased rate. Having these genetic tests done on a massive scale will break down the bundling of risk and could lead to insuring people on horizontal risks, rather than vertical risks. Wearable technology could someday be used to quote a daily life insurance rate where you pay per day. If you smoke a cigarette then your rate will go up. Same thing goes if you’re sitting on the couch all day watching Netflix. Millennials will be a major disrupting force. The idea of sitting down with a life insurance rep and filling out paperwork is a nightmare for most millennials. Filling out this 38-page carbon paper sheet with your advisor while he separates the yellow sheets from the pink and physically mailing it to headquarters also sounds like a nightmare in today’s digital age. There has been a lot of talk about the client experience and engagement within the industry. One of the biggest challenges right now is improve the insurance buying process and transform the current ‘38-page, double-sided carbon paper sheet’ process into something a little more consumer-friendly. Though going digital is not necessarily the answer, research has shown that the client experience has to be what they want, when they want it. This means creating consistent experiences across different channels. Some people may prefer interacting with a product entirely digitally, while others prefer to talk to a human being. The complete experience needs to be built in a way that is easy to move between channels. How can insurance companies adopt the startup mindset to innovate? These massive, long-standing organizations are aware that things need to change in order for them to stay relevant. To do so, insurance companies will need to be open to embracing new technologies and new ideas. But the way that these ideas are generated will also need to change. As most insurance companies have internal groups or consultants that ideate on new innovations and solutions, they need to begin looking to expand the funnel of ideas to new sources of thinking in places like Communitech. 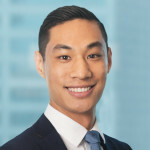 With the establishment of FairVentures innovation lab and Manulife’s RED Lab, these labs widen this funnel to allow the flow of ideas to come from any source – even from that of a 22-year-old intern. In the case of Manulife’s RED Lab, they have adopted this mindset and fully embraced this different way of thinking. One of the tools and concepts that startups have used to great success in validating a product to get a feel for its market fit and also mitigate any risk associated with it is through pilots and minimum viable products (MVPs). Insurance companies need to become more comfortable with piloting as a risk mitigation tool. Today, the worry for insurance agencies is launching a product or consumer experience that is not absolutely flawless that can put a hit on their reputation. These companies need to be shown that the risk level associated with piloting products is minimal. As a startup, how can you succeed in the industry? Or, as an insurance company, how can you help startups succeed? 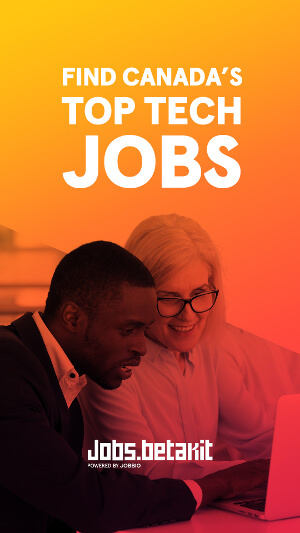 If you’re an insurance company working with communities like Communitech and other accelerators, you can help create the environment, conversations, and opportunities to have these conversations to help guide startups to the right person to talk to. What startups primarily need is counsel from someone who understands the intricacies of the insurance industry and has the expertise or inside knowledge to guide startups through this maze of complexity and regulation. In order for startups in this space to succeed, they need to understand the industry. Aside from getting the counsel to help startups along with this, there is no other better way to change the process than to be a customer of the process. By using these products, you will be able to see the pain points that exist and look for ways to solve them. Another important factor that startups need to be cognisant of is that insurance companies and investors want to mitigate risk. If you don’t understand the business and don’t have the backing of people who believe in you, there is no way anyone is going to want to do business with you. According to Paul Desmarais III, Power Financial Corporation of Canada recently invested in Wealthsimple and Borrowell, partly, because of the people on their board of directors and advisory network. By building out a strong network, this will allow you to not only garner support from technology and industry talent to build a great product and attract a lot of potential, but also give you great credibility. Does regulation get in the way of innovation in the industry? What role can regulators play to facilitate innovation in the industry? While regulators can oftentimes get in the way, the value they provide to consumers must be balanced with the detriment. It is easy to say that they can get in the way of innovation, but companies need to consider the entire customer base and realize that there are some people out there that may be putting their money and health at risk because they may be making poor decisions and don’t understand enough of the system. In auto insurance in Canada, regulations can vary by province and by regulator, making it extremely difficult to have a consistently innovation strategy. This can result in 10 different products for 10 different jurisdictions which can get very expensive. Coordination of regulation to reduce this segmentation would be immensely helpful. On the life insurance side, regulators are not necessarily impeding progress in innovation, but the challenge lies in educating them and getting them to understand what consumers want. Regulators exist to protect people, but they also need to make sure that they don’t get in the way of helping them or making the product more affordable. The good thing in all of this is that consumers and new technologies are pushing hard to force regulators to catch up. Even after the insights and takeaways the two discussions at Insurance Disrupted offered, the evening was not done yet. There was still one last thing to do: network. 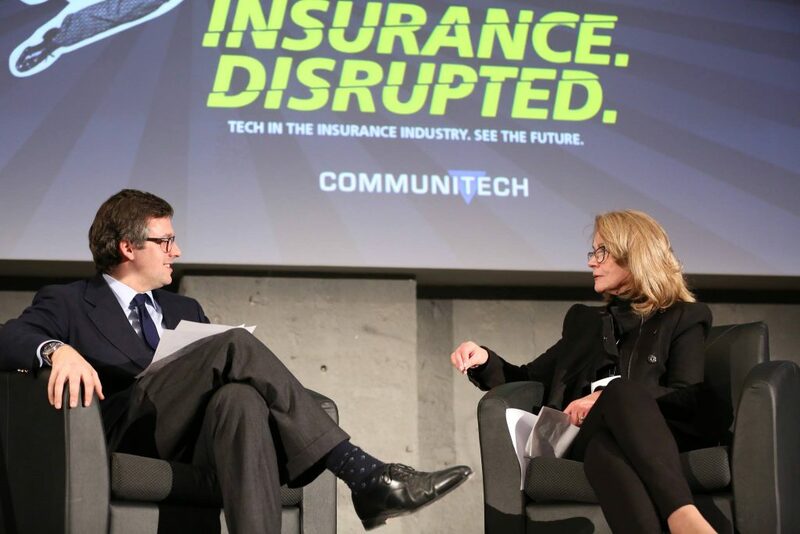 By bringing international insurance companies, startups, and innovators together, Communitech put the right people in the right room to strike up valuable conversations and, potentially, form meaningful partnerships. Disrupting the insurance industry is not something any single company or startup can do alone. There is no doubt, however, that disruption can be achieved by the bright minds from both ends of the spectrum working together towards this common goal. Feature image courtesy Phil Froklage.